Offers even the seasoned pastor an excellent refresher course in the art of preaching. This book discusses the purpose, construction, and delivery of sermons. Each chapter includes summaries and study questions. 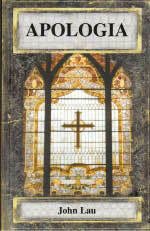 Sample text analyses, sermon outlines, and two complete sermons are included in the volume. Hardcover, 186 pages. Size 6 X 9.